Available in Midnight Black and Daisy Denim Blue, this sleeveless Romper is the perfect way to spend your Saturday! 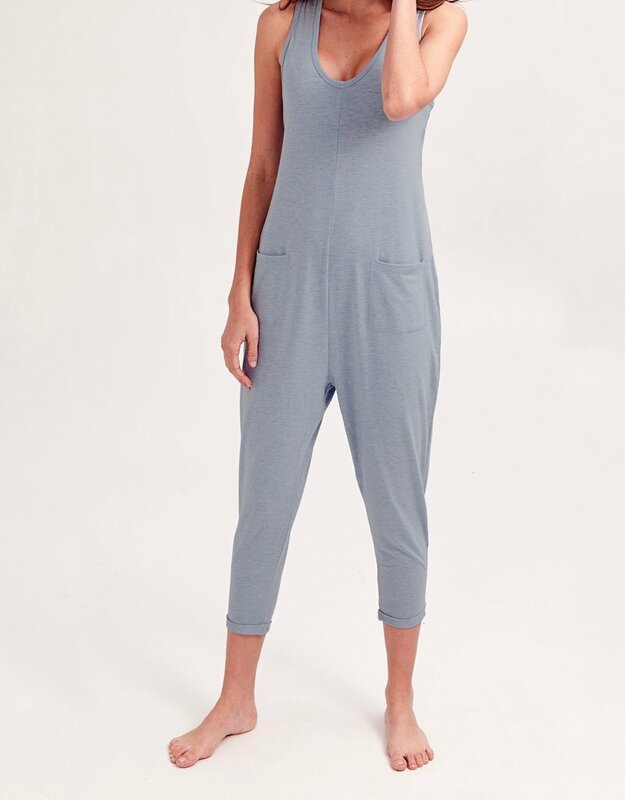 Available in Jillian Grey, Midnight Black, and Daisy Denim Blue, this sleeveless Romper is the perfect way to spend your Saturday! Made in a rayon from bamboo and cotton blend, the wide front pockets and drop waist add to the utter adorableness of this must-have Romper. 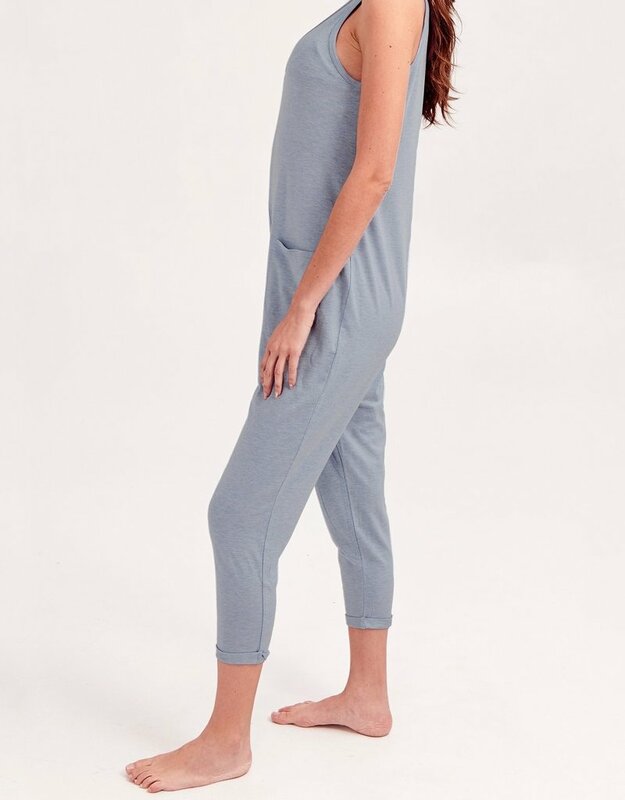 Wear it to bed, out the door, and to the grocery store – this Romper isn’t made for your eyes only!